If you know it’s going to be a while before you’re likely to get back out on the water, winter can be an ideal time to do some necessary boat maintenance as you winterise it for storage. Use the guide below to help you keep your boat in good condition during the winter months and perhaps even save a bit of money. Haul your boat – Marinas in cold regions where the water freezes usually set a haul out date when all boats must be removed. This may not be necessary here, but if you have a place at home to store it you can save a lot of money in berthing fees by hauling your boat out for the winter. It also makes it easier to do some maintenance while you have the chance. Give it a wash – Don’t come back to a dirty, mouldy boat come spring. Give it a full detail at the start of winter. Clean everything from inside to out, including all equipment, then finish with a buff wax. While doing this have a good look on the hull for blisters or cracks, and check the rest of the vessel for other signs of damage or wear and tear. Clear it out – Anything that can hold moisture should be removed – things like towels, rags, life vests and cushions as these are the first things to start going mouldy. If you have electronic items it’s a good idea to remove and store these inside too. Finally, remove the bilge plug so the boat can drain properly, but remember where you put the plug as you’ll need it when you want to go pack in the water. Do an engine check – This is a good time to do a full service of your boat engine. Do an oil and fluid change, clean it up and carry out any other maintenance suggested in the user manual. You should also remove the battery, either charging it periodically, or hooking it up to a trickle charger. Boat repairs – Go through and check the engine for damage, cracks, or wearing parts needing replacement. If you need any repairs done winter is the best time to do it, so think about whether you want to do an overhaul or even replace the whole engine before the next boating season. At Boat Finance we offer boat loans for new engines so you can get it done now while it’s most convenient. Boat covers – Whether you’re storing your boat in your back yard or even down at the marina, make sure you put any necessary covers or shrink wrap on to keep it dry. Moisture can set in if it’s left for a long period and the last thing you want on the first days of the boating season is to be dealing with mould. Inspect your boat – Even once you’ve done everything to prep and cover your boat for the winter months, at least check on it from time to time. Make sure there are no leaks in the covers, everything is draining, there’s no corrosion and no birds or animals have started making a home for themselves in there. If you keep to this guide your boat should be in good condition come the next boating season. You’ll still have to perform all your usual spring checks before setting out for the first time, but this way you’ll have a whole lot less to deal with, getting you out on the water much faster. For now, if you’re considering either an engine or even a boat upgrade you can talk to the team at Boat Finance to organise a loan. We offer finance options for new and used boats, new engines and even pre-approved loans so you can shop with confidence. Now might even be the time to look at your marine insurance to see if you can get a better deal. 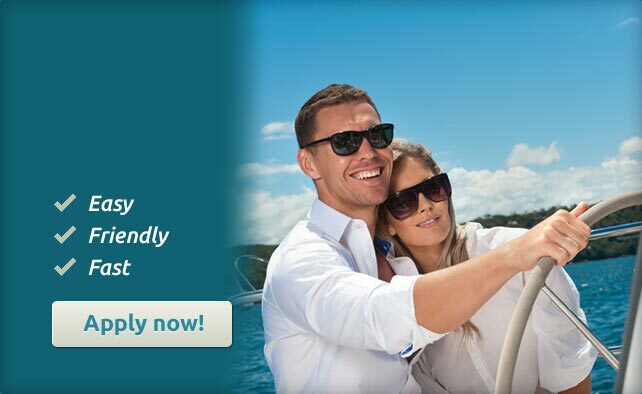 If you are ready to apply for a boat loan, you can call us on 1300 880 883 or submit a quick online application.